These berry pie cupcakes are easy as...pie! 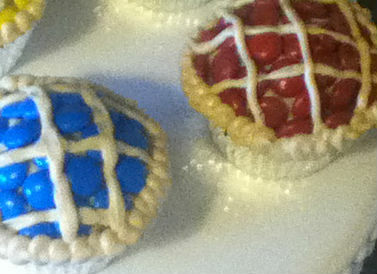 The blueberry and cherry fillings are blue and red candies, and the frosting is tinted to look like a lattice crust. 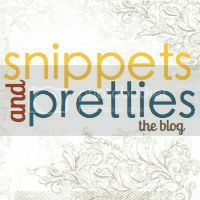 You can cover the table at your next bake sale with these mini pastries and you'll sale out in no time! 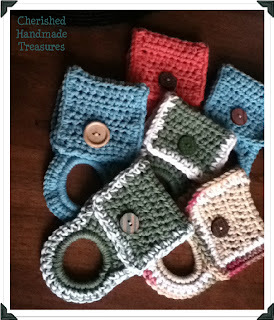 And since they are so easy to make and decorate you can get the kids involved. 1. Tint the vanilla frosting with 3 or 4 drops of the yellow food coloring and the cocoa powder to make a light brown for the piecrust. Spread some of the frosting on top of a cupcake, leaving 1/4 inch of the cupcake edge exposed. 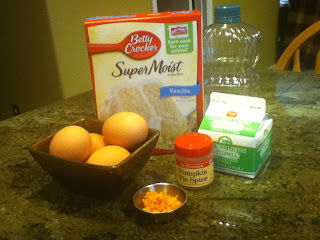 For the filling, arrange about 25 like-colored candies close together on top of the cupcakes. Repeat with the remaining cupcakes and like-colored candies. 2. For the lattice crust, pipe 4 or 5 lines across the top of a cupcake, about 1/2 inch apart. pipe 4 or 5 more lines, on the diagonal. Pipe a beaded edge around the top of the cupcake. 1. 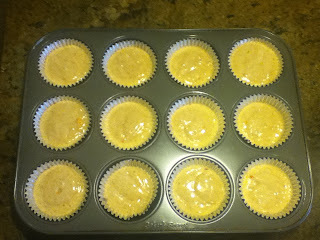 Preheat the oven to 350 degrees F. Line muffin cups with paper liners. 2. Following the box's instructions, combine all the ingredients in a large bowl, using the buttermilk in place of the water specified (the box will call for more water than the buttermilk here), using the amount of vegetable oil that is called for and adding the 4 eggs. 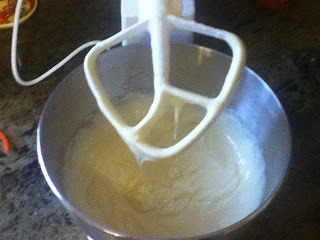 Beat with an electric mixer until moistened, about 30 seconds. Increase the speed the speed to high and beat until thick, 2 minutes longer. 3. 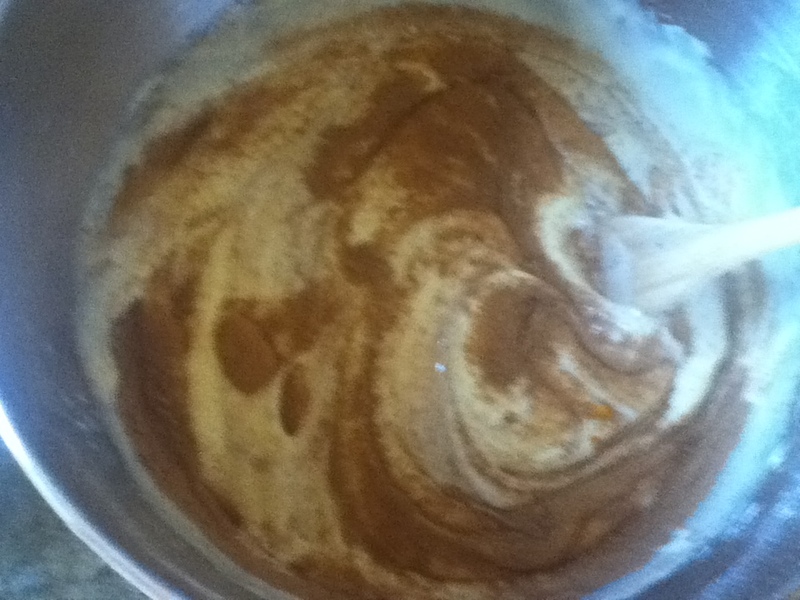 Stir the pumpkin pie spice and orange peel into the batter. 4. Fill the paper liners two-thirds full. Bake until golden and a toothpick inserted in the center comes out clean, 20 to 25 minutes for jumbo, 15 to 20 minutes for standard, and 8 to 10 minutes for mini cupcakes. 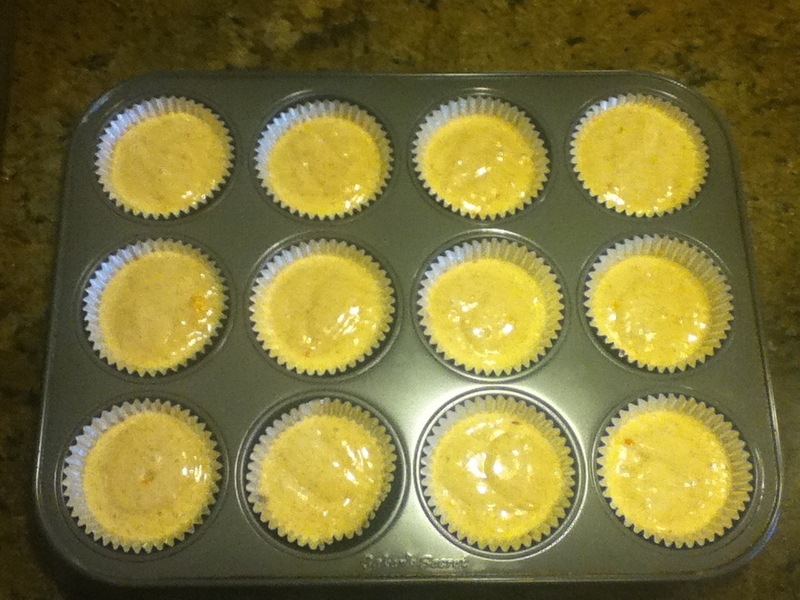 Remove the cupcakes from the baking pans, place on a wire rack, and allow to cool completely. If I came across these at a bake sale I'd buy them all up. Sooo cute!